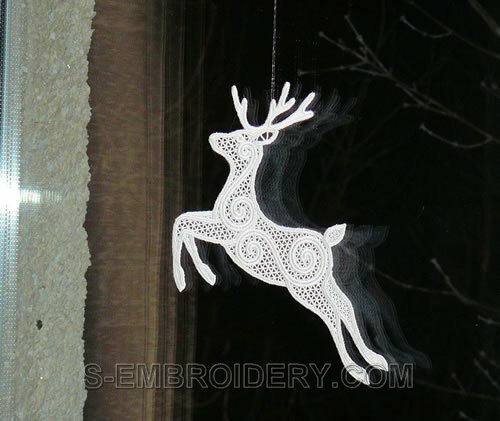 Free standing lace Reindeer Christmas window decoration machine embroidery design. Available in 2 versions. 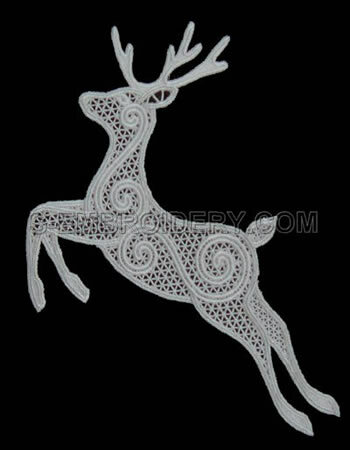 The first one is for 5x7 (130 x 180 mm) hoops and the design is split in 2 parts. 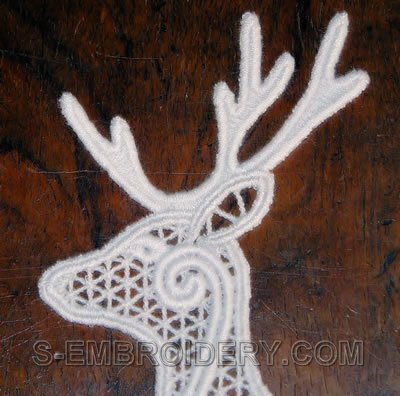 The second one is for those who have large hoops so that the whole reindeer can be stitched out in a single hoop. Note: Both versions will produce window ornaments with the SAME size.